…their two-week American tour included performances, in front of up to 7000 people a night in huge amphitheatres, stadiums and parks on the West Coast. “The reception was fantastic and audiences on some occasions were so quiet and absorbed that there were times when I wondered whether there was anyone out there,” said Mystery Plays director Keith Ramsay. 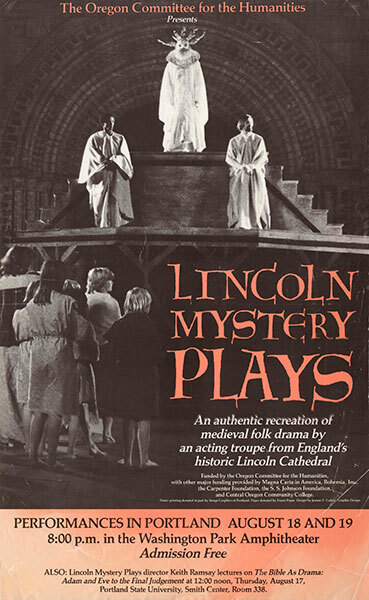 Keith, who is head of drama at Bishop Grosseteste College, Lincoln, and a leading authority on medieval drama, stayed in America for a few days after the resxt of the group returned to visit a long-time friend, the daughter of Alfred Hitchcock. Included among the professionals in the cast was Colin McFarlane of North Hykeham who played the contrasting roles of Jesus and Satan.